Mandy Budge, Chief Executive and founder of Multikids Academy has officially launched the Multikids Foundation to address the needs of low-income families who need excellent inclusive education for their children with special needs. Speaking at a fund-raising event dubbed, ‘Reach for the Stars’ in Accra yesterday, Mandy Budga said the Foundation would provide subsidies in terms of scholarships to children with special needs so they can gain access to inclusive education at Multikids Academy. According to her, the Foundation would in the first year support 10 children with special needs from low-income families. “The Foundation is also there to pioneer inclusion in our Ghanaian educational system. We started the fund-raising initiative in the UK and as at now we have raised GBP 10,000, which is fantastic. That would kick-start our fund so the board will come together in January and see how we can use that money,” she told Nii Ogbamey Tetteh. Proceeds which would be generated from the launch of the foundation would be added to the already generated funds, she indicated. Multikids Academy, which is the only international school in Ghana that practices inclusive system – mainstream learners school alongside children with challenging needs, offers specialized teaching for all children. 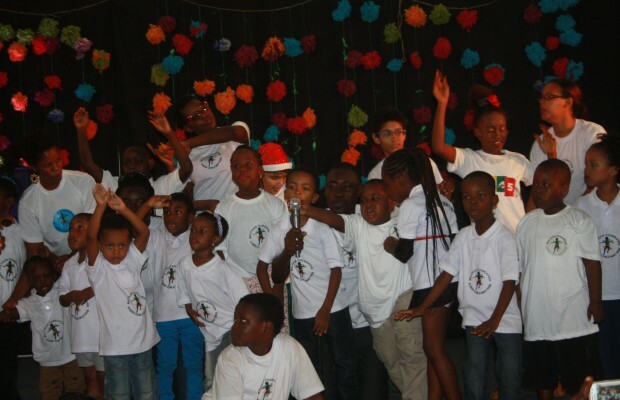 During the event, the school-children took turns for poetry recitals, fashion show and rap sessions, among others. Farouk Iliasu, Head of Multikids Academy, stated that the school believes in inclusive education because “every child with or without special needs matters. He urged parents not to discriminate against their children with special needs but enroll them in school. However, Dr. Henry Seidu Daanaa, Minister for Chieftaincy and Traditional Affairs, commended the school for the initiative and urged Ghanaians to show kindness, love, sympathy to the less privileged in society.